His Excellency Prime Minister Adil Abd Al-Mahdi received this afternoon, the President of Kurdistan Regional Government Nechirvan Barzani. His Excellency confirmed that the government is working on maintaining the Iraqi People achievements, safety, stability and advancing in rebuilding projects. 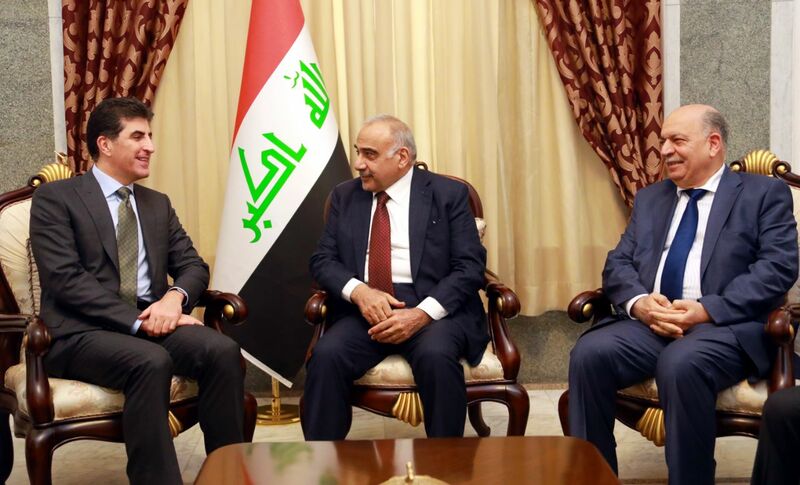 As well as achieving Iraqi People unity, meeting its demands in developing the services, construction, and economical prosperity, referring to the importance of the collaborative spirit between the federal government and regional government. President of Kurdistan Regional Government submitted congratulation to His Excellency Prime Minister on the occasion of for assuming the position prime minister, commended the government impartially to all Iraqis and working in a spirit of one team.